The software can load the NTFS drives automatically within the source machine after launching it. Users can appear the basic details of each disk including File system, Available size and Drive size. Then, choose any one single drive and the ntfs log file forensics software rapidly scans it to display the complete details of selected drive. Once the drive is scanned, the software will easily load all the available items in it. 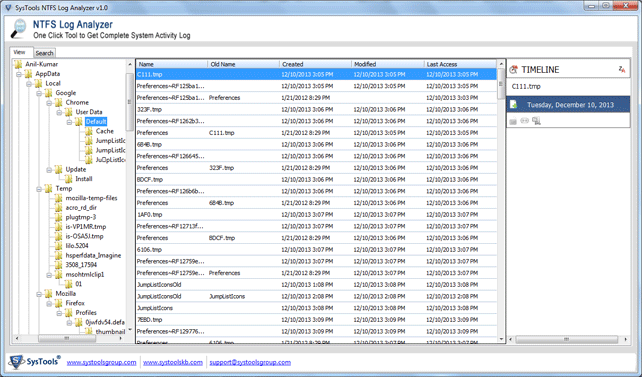 The NTFS Log analyzer software will display all the files in the desired folder by clicking on the specific folder. Also, users can preview the required details of each file such as latest Name, old name, created date, modified date, and last access date. After previewing the specific file, the NTFS Log File Parser software will display all the activities associated with the file by date. It will show the specific date on which file has been created, renamed or may be deleted. Moreover, users can check the status of the particular file that has Read Only, Hidden and compressed files as well. The NTFS Log Analyzer software provides an option to apply the search filters for finding any particular file or folder in the scanned results. Even users can choose the files on which the preferred operation has to be performed i.e., all, created, renamed, deleted and set the particular date range between “To” and “From". After applying the search filters, users have to click on the search command, the ntfs log file parser software will display the complete log files. It contains the following details File name, older name, and folder path, creation date with time, modification date with time and last access date with time. 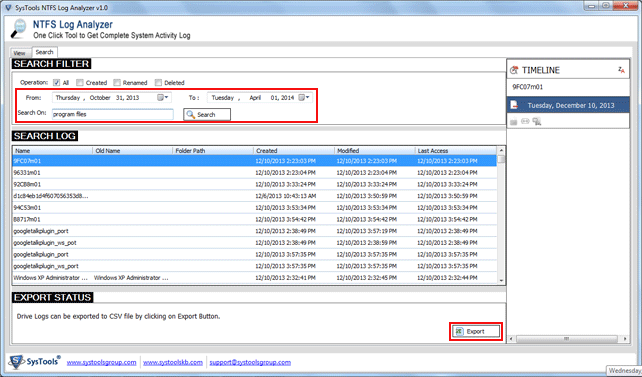 Once the searching completes, the created log status report may be exported in CSV file format. The system log file parser software will permit to save the data on the local machine at anywhere. It will help the users to utilize this in the future reference and export ntfs log file data in .csv format. How long does it take to perform the scanning on a drive? NTFS Log parser software is specially designed to perform the file scanning in an efficient way. Although, the scan process time consumption will totally depend upon the file size of the system drive. Does the NTFS Log analyzer software provide time line details? Yes, Of course, the software will display all the activities related to that particular file by date. Does the software provide the search filter option for analyzing the complete activity Log of NTFS drive? 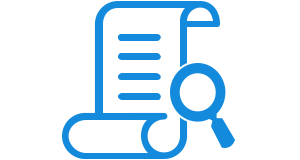 Yes, the software offers search operation including all components like shows all, newly created, renamed or deleted files as well. Is It possible the software will load all the items in the desired folder? Yes, using this NTFS log file forensics analyzer tool, users can load each file in any specific folder without any kind of data loss. First, you have to download NTFS Log Analyzer on the local machine. 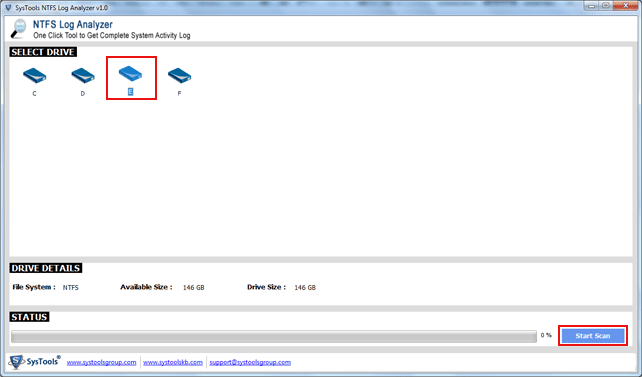 Next, choose the required Drive or partition option for completing the full scan. Now, display the complete Log report of the selective partition. "The NTFS system file analyzer software is really an amazing software that helps to display the complete activity log details of NT File System Drive. Even it is used for recovery and analysis of an evidence over the entire investigation. I am very impressed with this software as it is a reliable and efficient for all users. Kudos to the development team for creating a great product." "Usually, I need to track my computer systems activity and thankfully I got the NTFS log file parser tool that makes the task very simple and easy for me. Even, this product has come as a great relief and it is capable to view each activity of any source machine in any specific date range.Great work!!"